I am a member of the faculty of the School of Technology and Computer Science (STCS) at the Tata Institute of Fundamental Research (TIFR) . In my previous avatars, I was a graduate student at the Massachusetts Institute of Technology (MIT) (where I obtained my PhD under the supervision of Prof. Madhu Sudan), a postdoc at Microsoft Research-Silicon Valley, and a research assistant professor at the Toyota Technological Institute at Chicago. 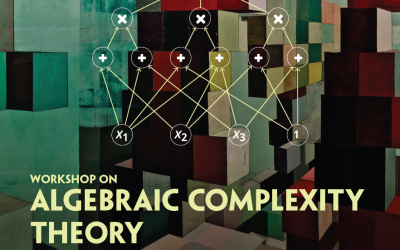 In March 2019, I am co-organizing (with Ramprasad Saptharishi and Srikanth Srinivasan the ITCS Workshop on Algebraic Complexity (WACT) at the International Centre for Theoretical Sciences at Bengaluru. In summer 2019, I am co-organizing (with Irit Dinur) a summer cluster on Error-Correcting Codes and High Dimensional Expanders at the Simons Institute at Berkeley.